After nearly eight months of enforced disappearance, the Government of the United Arab Emirates (UAE) has taken prominent Emirati economist and political activist Dr. Nasser bin Ghaith before the State Security Chamber of the Federal Supreme Court in Abu Dhabi. On 18 August 2015, Emirati officials arrested Dr. Nasser bin Ghaith from his work place and forcibly disappeared him without charge or trial. 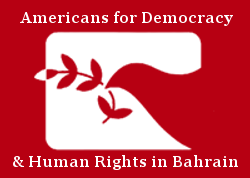 Americans for Democracy & Human Rights in Bahrain (ADHRB) as well as number of other international human rights organizations such as Amnesty International and Human Rights Watch issued statements following Dr. bin Ghaith’s abduction, expressing grave concern about his disappearance and noting that he was at a heightened risk of torture and other ill-treatment. Now, confidential sources can confirm that Dr. bin Ghaith has reappeared on 4 April 2016 at the first hearing of his new trial. These sources report that Dr. bin Ghaith’s recent disappearance was linked to his peaceful exercise of the right to freedom of expression in April 2011, when he and four others posted comments to Twitter and an online discussion forum that Emirati authorities deemed “publicly insulting.” The Federal Supreme Court sentenced Dr. bin Ghaith to two years in prison for these alleged offenses, but he received a presidential pardon following international outcry. The government is now additionally accusing Dr. bin Ghaith of meeting with peaceful political activists whom Emirati security officials consider to be members of terrorist organizations. Dr. bin Ghaith’s hearing on 4 April was closed to all but his family members and UAE state media. Private sources report that it did not meet international fair trial standards. The authorities continue to hold Dr. bin Ghaith in secret detention at undisclosed location, and they did not allow him to access legal counsel until he entered the Federal Supreme Court for his hearing. Officials additionally prevented him from privately meeting or speaking with his lawyer. When the judge allowed him to address the court, Dr. bin Ghaith stated that Emirati authorities had physically tortured and beaten him during his disappearance. He also described how officials deprived him of sleep for up to a week following his arrest. In response to Dr. bin Ghaith’s testimony, the judge reportedly asked “how do you know you are in secret detention?” Then he turned off Dr. bin Ghaith’s microphone, so that he could not be heard. Dr. bin Ghaith’s next hearing is set to be held on 2 May 2016. Until then, he remains in secret detention, despite his claims of torture. Dr. bin Ghaith faces charges for his free expression based on the broad provisions of the UAE’s Penal Code, cybercrime law, and 2015 counter-terror law; if convicted, he could receive a sentence of life in prison. Additionally, the State Security Chamber of the Federal Supreme Court is a court of first instance, meaning the defendant has no right of appeal before a higher tribunal. If the court convicts Dr. bin Ghaith, another presidential pardon may be his only means of securing freedom. Tyler Pry is an Advocacy Intern at ADHRB.